If you’ve never heard of flying fish, yes – it’s a real thing. They glide across the water with pure elegance and can fly in the air for quite a distance. 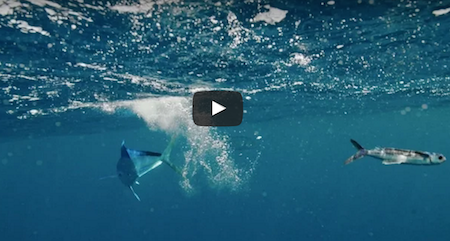 But what you may have never seen, is how these flying fish are able to escape their predators. This video below might be the craziest thing you see all day!